Being yourself begins with your personality. Personality is the way that you display who you are. I believe that representing your personality to the fullest is such a key factor to pageantry success. A serious contender will make sure that her personality shines through in her wardrobe choices, in her modeling attitude, in her composure and in her words. When it comes to personality, you truly want to focus on the little details that make you unique. Focus on what makes you stand out. The judges do not have a set idea of the next titleholder, and it is your opportunity to persuade them that you are right for the position! Think about what it is that makes you special, find confidence in that, and show that to the judges. Some contestants have a rare energy where they can walk in the room and light up with a glowing, genuine presence. Some contestants will open up about loving science and history. While those things are great, you want to focus on what makes you different and special. The key to learning how to be yourself is embracing who you are! You also want to remember to fully embrace your personality. Your wardrobe choices should scream your name. When you’re modeling on the stage, you want to own your moment. With each step and stance, you should be completely engaged in expressing yourself with your signature smile, upbeat bounce or whatever way you interject your personality into your modeling. In the interview, don’t get stressed out about having the perfect answer. Instead, put your personality out there for the judges to fall in love with! Smile and be yourself – you will make the judges feel absolutely amazing about choosing you as the next titleholder. Your efforts will backfire if you try too hard and push your personality onto everyone and everything, or you invent a new personality that you think the judges will find more appealing. Be true to you – that is who the judges are ultimately looking for. Philosophy is your set of beliefs about the world around you. Philosophy is important in the interview competition. This is where you express your opinions or ideas. 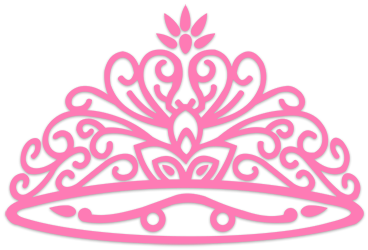 No two pageant girls actually have the same philosophy, so pretending to “fit the mold” and promote a philosophy that you think all pageant girls have will not do you any favors. The judges are not judging you based upon the content of your philosophy, but rather the way you express it. You want to share the moments that define and shape your philosophy in a meaningful way. Your goal is to tug on the judges’ heart strings and see you as a titleholder who wants to change the world! Beauty is the manner in which you display your internal and external gifts. I believe that beauty begins from the inside, and so you must develop your inner beauty. In order to show the judges your beauty, you must know what makes you beautiful in your own way. Here is where you will find confidence in yourself. Pageants are a wonderful opportunity to search your soul and learn what makes you special. Once you find your inner beauty, your outer beauty will be enhanced through your composure. While outer beauty is not the most important quality to have in a pageant, it is still important to enhance with hair and makeup styling best for your features. You want to be yourself inside and out and have the total package. Express yourself with a fabulous sense of style that complements your personality. Style is the expression of your personality through wardrobe and accessory choices. If a bubbly outgoing contestant were to wear a demure black gown, she would send a confusing message to the judges. Your wardrobe should confirm your personality and reinforce the message you send regarding your personality. If you are true to yourself, the judges will love you!